LA VERNE, California, September 26, 2017 — New Roynon Principal Tammi DiGrazia understands honoring history and tradition more than most. Just consider her own pedigree. Her father is the great thoroughbred trainer Bert Sonnier, who won the 1969 Santa Anita Handicap (then the richest race in the world) with Nodouble, who was twice named American Older Champion Male Horse by the Thoroughbred Racing Association. To give the accomplishment some kind of perspective, the legendary Seabiscuit won the race in 1940. Meanwhile, her sister Sheila married jockey Alex Solis, a top jockey on the local racing circuit who guided Snow Chief to victory in the 1986 Preakness Stakes, the middle leg of the coveted Triple Crown. And DiGrazia herself takes her middle name, Lea, from Verna Lea Farms, the stable that raced Nodouble. 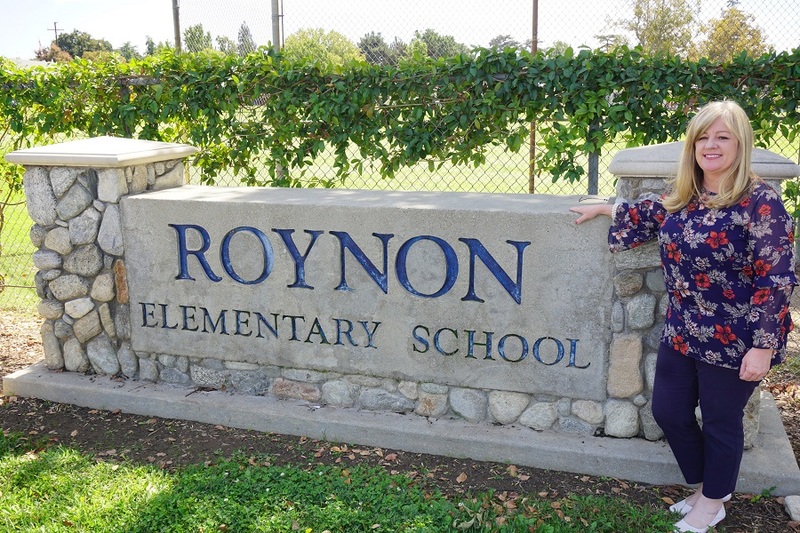 So as principal of J. Marion Roynon Elementary, the oldest primary school in the Bonita Unified School District, DiGrazia will be a sure bet to honor Roynon’s human bloodlines and local legacies, as well. As proof, since moving into her new role in late July, she has been steeping herself in Roynon’s local history, and, equally important, she wants to celebrate it every chance she gets. “This year we welcomed a fourth generation Raccoon to Roynon,” she said proudly. Oddly, although she hails from a racing family, she’s the only one of her brothers and sisters who didn’t make the sport a career. While they were carrying around feed buckets, she always had her nose in a book. “I was actually afraid of horses (in her defense, a horse weighs about a half ton) and I was also allergic to them,” she said. In her senior year of high school, she and her family moved from south Florida, home to the Hialeah, Calder and Gulfstream racing circuit that her father competed on, to Southern California. And while she quickly got up to speed on West Coast thoroughbred racing, she longed more for classrooms than stables and shedrows and showing up at the race track before the crack of dawn each day. Maybe her father’s punctuality rubbed off on her because after high school, she promptly enrolled at the University of California at Riverside toward her goal of becoming a teacher. For 22 years, DiGrazia taught elementary school in the Glendora Unified School system. After earning her master’s in 2013, she finally left the classroom to coach and foster fellow teachers. Then she accepted an assistant principal position in Colton for two years before landing at Roynon. Now you might have expected DiGrazia to seek an administrative position with Glendora Unified, her home for 23 years, but her husband Dominic is the school system’s assistant superintendent of personnel services, and the family thinking was that maybe the office wasn’t big enough to hold two DiGrazias. Consequently, she decided to leave her comfort zone for Colton and then La Verne. 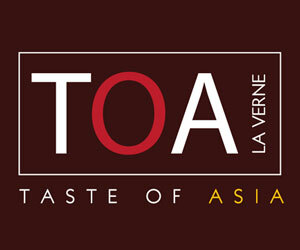 Glendora’s loss, of course, has become La Verne’s gain. She is a cool, calm and proven educator in it for the kids and their personal development and enrichment. Unlike a lot of administrators who want to change things up and put their stamp on things quickly, DiGrazia wants only to enhance and embellish Roynon’s reputation, troting it out in front of the community like a proud show horse. “We have such a rich history here, I just want to continue to honor it,” she said. And being a teacher who is technologically plugged in, she has the means to do it. She moves easily between Facebook, Instagram and Twitter, well aware that each social media organ skews to a slightly different demographic. 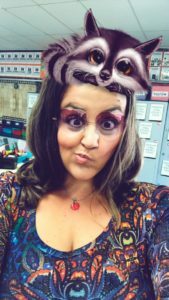 On the wall behind her desk are photos of teachers that have been morphed and contorted through the magic of SnapChat. The Wall is cleverly called Staff Chat. Although barely into her new assignment, she is already the driving force behind the Roynon Bulletin and the Roynon Raccoon Report. Nearly everything written or photographed at school is posted with a #RoynonRacoons, which, when viewed on Google images, reveals a massive wall of past activities, events and celebrations. She is also quite adept at the personal touch. On the first day of school, she and her talented assistant principal Leslie Sandoval didn’t just greet and welcome parents curbside, they invited them to stay for coffee and donuts. They also have started a program called Positive Phone Calls Home, where based on teacher recommendations, they call parents to inform them of all the wonderful things their child is doing at school. It’s a new spin on what used to be for parents the dreaded phone call from the principal’s office. The phone call is followed up with a photo and certificate. “There are fabulous things happening here, and we need to let people know about them,” she said. One of those fabulous things is Roynon’s Beautification Committee, one of whose members is J. Marion Roynon’s grandaughter, whom LaVerneOnline expects to feature in November. Interestingly, in preparing to be interviewed for the Roynon position, DiGrazia tried to go online and learn as much as she could about the historic school, but didn’t find as much information as she would have liked. It was only after talking to people, especially to those who attended the school, that she truly learned how special the school was. So now that she has the position, she wants to fill in and record the history, sort of like a modern-day Homer finally writing down the rich oral history of the Iliad and the Odyssey. And this Sunday, continuing her good form, DiGrazia will be making some more history of her own as she goes out to Santa Anita Park to celebrate her father’s 80th birthday. She and Bert have certainly traveled a long way from their south Florida roots, and while she turned out to be the only family member not to enter the family trade, she definitely has a leg up in the exciting sport of education. LaVerneOnline, La Verne’s No. 1 news source, is sponsored by longtime La Verne Realtor Colleen Bennett ,Sotheby’s International Realty (DRE#01013172). She is also the author of The Real Dirtt, which is full of scoops and insights on today’s real estate markets. If you have a question, call her at 626.344.0907 or reach out by email, cmbenzz@gmail.com.